Turning right before the approach road of Myokoji Temple, there is a small kawaii Hachimansama facing south. 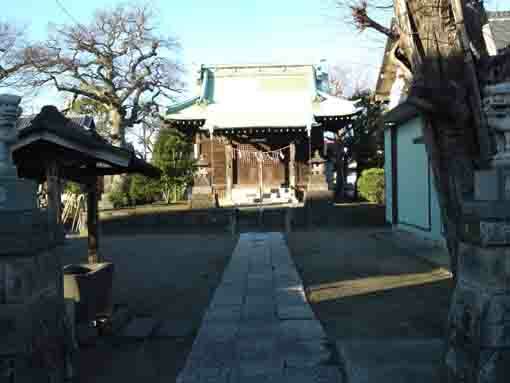 It is Hachiman Jinja Shrine in Myoden. The enshrined deity of Hachiman Jinja Shrine is Homudawake no Mikoto (the Emperor Oujin). There are a pair of stone dogs, a stone torii gate and a main hall with beautiful sculptures standing in the shrine, and a splendid Mikoshi is stored behind the main hall. 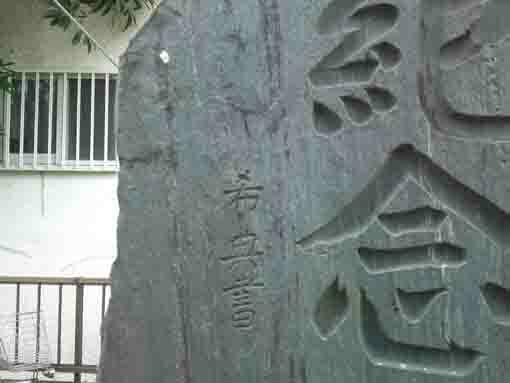 And also the carved letters on a stone monument standing in it was written by the General Maresuke Nogi. 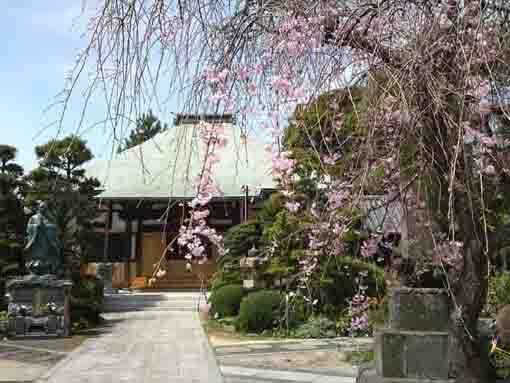 Moreover, it remains the history of a mixture of Shintoism and Buddhism before the Meiji Restoration that Hachiman Jinja Shrine is connected to Myoeisan Myokoji Temple. Though the shrine is small, it has a lot. 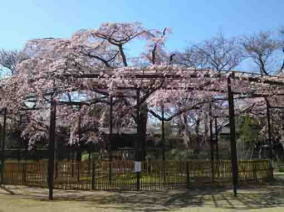 Why don't you visit Hachiman Jinja Shrine in Myoden? According to the oldest record on woods in the main hall of Hchiman Jinja Shrine in Myoden, it was built in 1709 by supporters in the village and Muneyoshi Hikohachiro Shinoda, the carpenter was Kanzaeon Ishikawa. 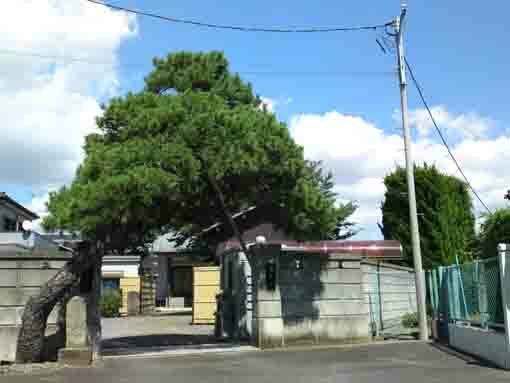 Muneyoshi Hikohachiro Shinoda was the head of the Shigezaemon Shinoda Family. It was immediatly after Ienobu Tokugawa had become the 6th Shogun of Edo Bakufu. 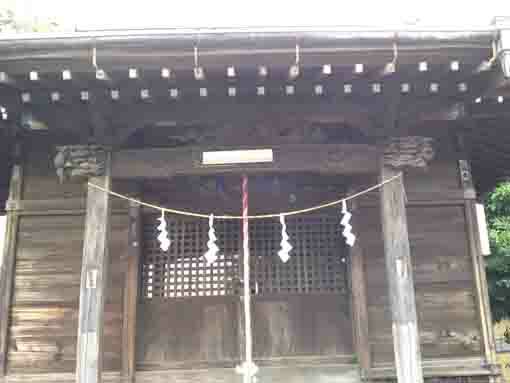 A small shrine in the house of Shigezaemon Shinoda became a shrine for all villagers as Myokoji had been. 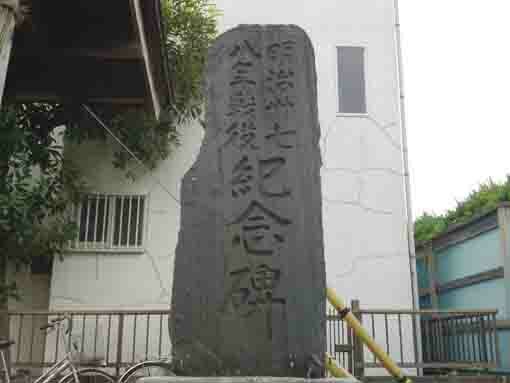 The principle image of Nichiren Sect surrounded by chants in the center of the board called Muneita, it of course shows that Hachiman Jinja Shrine had belonged to Myokoji Temple next to it. However, the managements of them were divided in each by the movement of abolishing Buddhism and the ordinance distinguish Shinto and Buddhism. In the documents of Myokoji Temple, the object enshrined in Hachiman Jinja Shrine in Myoden is the Sogyo Hachiman Daibosatsu (Hachiman wearing like a Buddhist priest) as Myokoji's treasure. And Obisha (the new year festival) was dated January 20th of 1780, and a few families in Myoden village managed Obisha in order in January 20th annually and they held a mandala drawn by the venerable Nikken the 15th chief priest of Myokoji Temple at the festival. 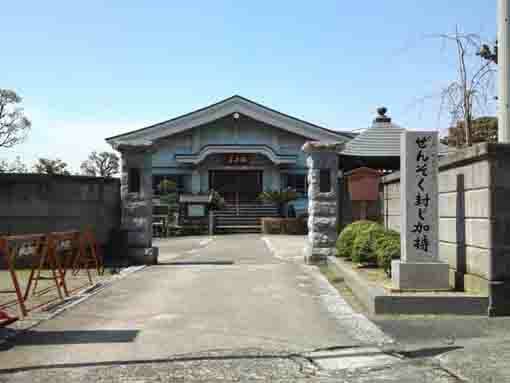 It continued until 1999 and now Obisha is managed by the local community in Myoden. Though the main hall of Hachiman Jinja Shrine is a only 2 meters square small shrine, some sculptures on the wall of it are valuable. In addition, the magnificent Mikoshi built in September 1928 by carpenters Torakichi and Tokutaro Shishikura is stored behind the hall, it was repaired in November 1998. Hachiman Jinja Shrine in Myode has a great accessibility from both Narita and Haneda International Airport.